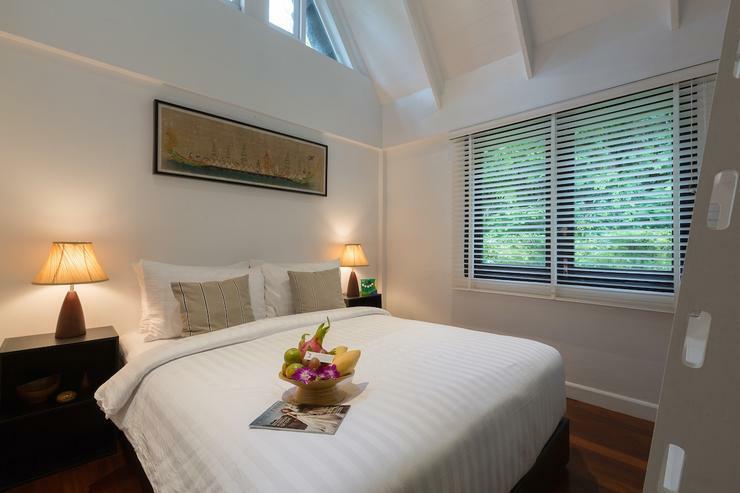 My husband and I stayed at Baan Hansa villa end of November to have a restful and relaxing babymoon break. It was a blissful 5 days - the villa was located inside the InterContinental Samui Resort with some pretty spectacular ocean views. The villa was well appointed, tastefully decorated and very comfortable - there were some really nice artwork & ceramics throughout the house which gave it a lovely personal touch. 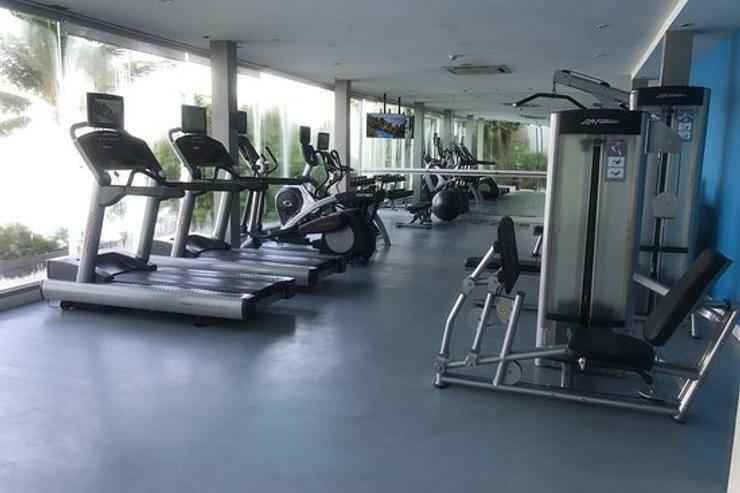 Being inside the resort, we got to access all the hotel facilities such as the pools, restaurants gyms and the spa. A very special to the villa staff Khun Nutch and Khun Bar - we were really well looked after throughout the stay, they were careful to be extra attentive but at same time not intrusive. 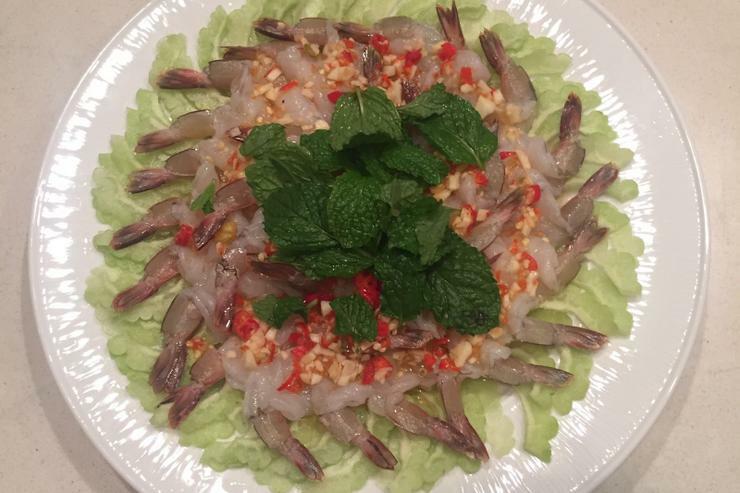 Khun Nutch is an awesome cook! We got to enjoy some real restaurant quality meals in the house (insanely good pad thai and curry crab!) and she really took care of my pregnancy dietary needs as well - its a great option if you want really good food at very decent prices. 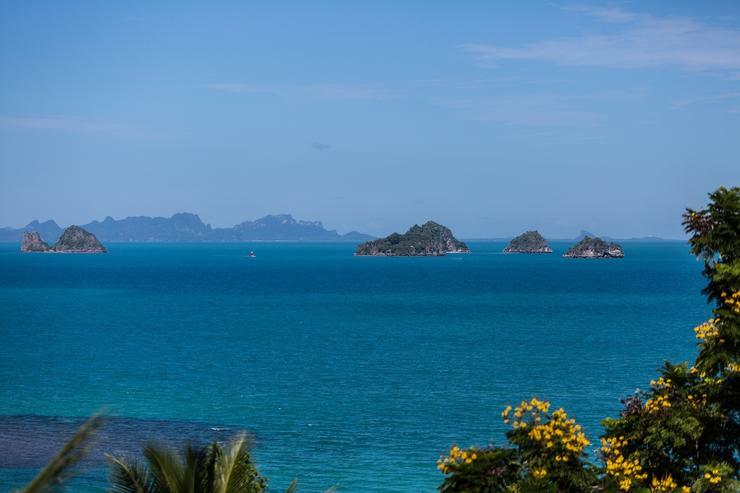 we were so well looked after, we found it very little motivation to get out and see the rest of Samui! The one day we did tear ourselves away from the pool and venture out, the lovely staff gave us some great tips - if you find yourself in Chaweng, go to The Library for lunch, it has a very cool bar/restaurant on the beach with a very chilled out vibe. 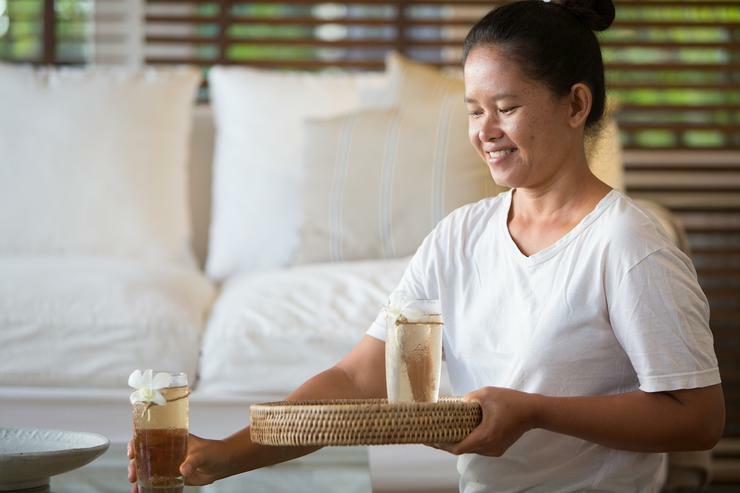 For the spa fanatic such as myself, a visit to Tamrind Springs Spa is a must - it is probably the best Samui has to offer and set in a really lush forest environment and they do complimentary pick up / drop off so its very convenient. Overall, just a fantastic perfect stay, exactly what we needed to unwind and get ready to welcome a little tornado into our lives soon! 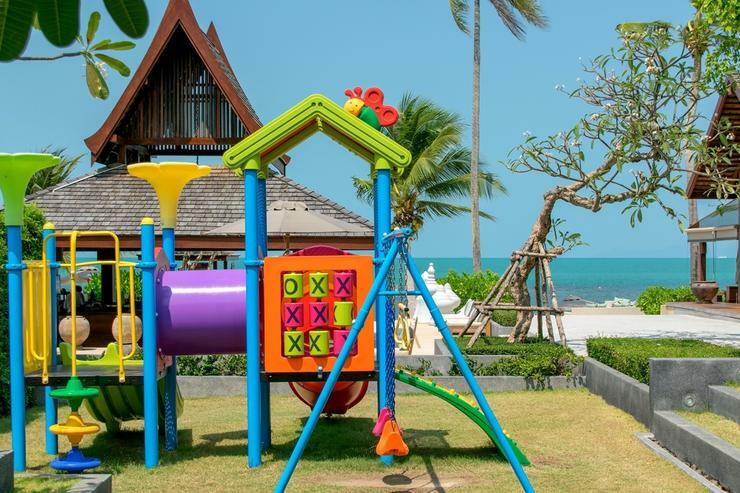 Would recommend Baan Hansa for couples, families or bigger groups looking to get some R&R....just a great place to chill and unwind. Thanks for an awesome holiday! See you next year with new bub in tow! It was a long overdue holiday and I can not be more happier than spending it in this lovely villa. The villa was very clean and it felt like home. The helpers were kind and made the best thai food. The kids loved all the swimming pools in the resort and had the best vacation ever. I will definitely come back to Baan Hansa next year. A true vacation place for all age groups. We had one of our best and most relaxing beach vacations. 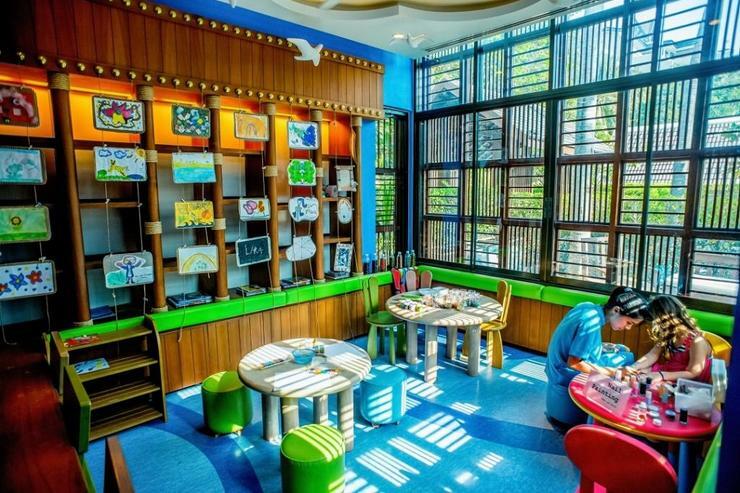 The place was perfect for our family with young children. The villa is very well appointed with the most surreal view from its balcony. Its location inside the InterContinental hotel grounds is very convenient as it is not too far from the main lobby building, making the walk to the restaurant and bar quite convenient. The villa is also next to one of the many swimming pools which was nice for a quick dip in the mornings. The walk down to the beach and the kid's club was very easy and there was always the option of calling for the hotel's golf cart, which the kids enjoyed riding down to the beach area. The best part of the entire stay though was the food prepared by the villa manager. 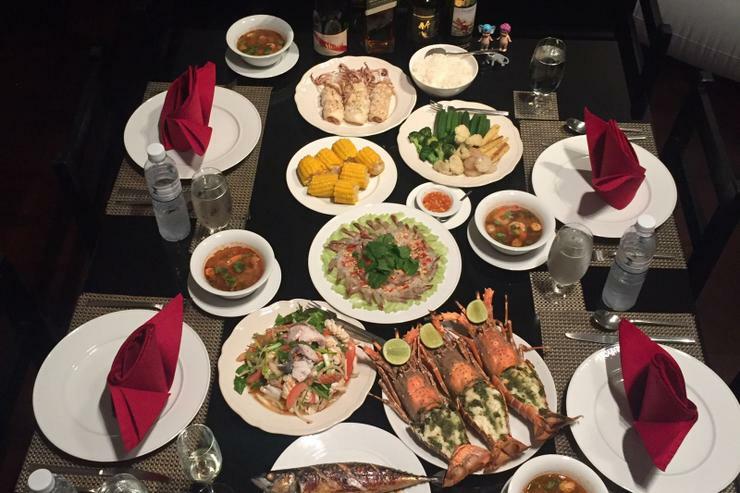 Every day we had the most delicious and authentic Thai food cooked to our liking. The staff was always attentive and courteous. We were fully pampered during our stay. It was a truly memorable vacation. 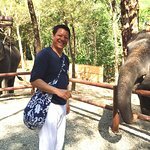 Our friends invited us to join them on a 5 day, 4 night stay in Baan Hansa. 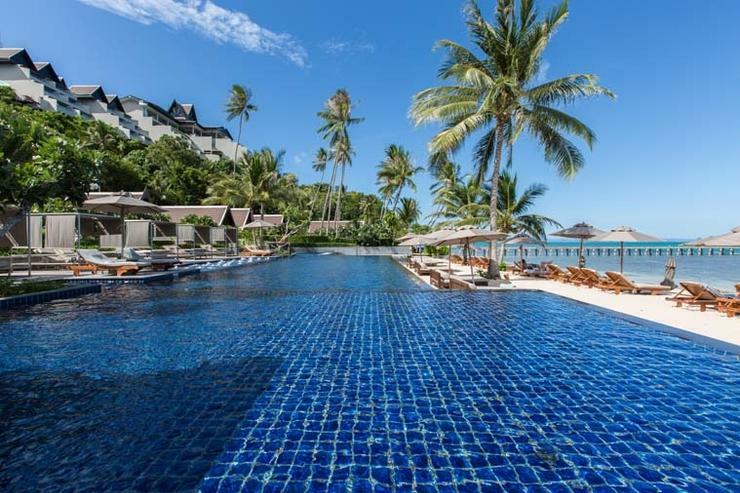 The villa is situated on the property of the Samui Intercontinental and all of the hotel facilities (spa, gym, pools, beach, water-activities, restaurants and bars) were available to us. Firstly, the setting is amazing. The hotel complex and villas are set into the side of a cliff that descends to the beach through a forest on the quiet south-west coast of Koh Samui. We genuinely didn't feel the need to leave the complex once during our entire stay. We were a group of 6, (2 couples and 2 singles) staying in the 5 bedroom villa. The villa, Baan Hansa, was just fantastic – with all the mod cons, including a TV/DVD area, huge common lounge and dining room and a great balcony with an incredible view of sunset. That aside, without doubt, the single most spectacular thing about this villa was the food. It was some of the best Thai food I have ever had and that is in no small part due to the skills of Nuch and her team, who are permanent staff of the Baan Hansa property. We hadn’t anticipated that we would use the option of eating in each day but we couldn’t bring ourselves to eat outside in the end. The biggest problem we had each morning was deciding which of the dishes to have for lunch and dinner. I recommend the soft-shell crab, chilli & basil chicken, red curry (with anything) and chicken satay. Food was charged at cost (of ingredients) plus 20% for labor, so it worked out very affordable. Some things to consider… As a group, we are all into fitness and we decided to set ourselves a challenge on two of our days of running the 417 steps from the beach to the spa and back down the cart-path to the beach (5 times on each occasion). It is a really great workout, for anyone who is looking for something to do in order to feel justified in ordering an extra dish from Nuch’s menu. Nuch was able to arrange for a private yoga instructor to come into the villa and give a group session. There is a spa at the Intercontinental that does massages for ~US$30 – and they can come to the villa and do the massages in-house. As an alternative, some of our group took a stroll on the beach one afternoon and came across a small local company that offered massages. 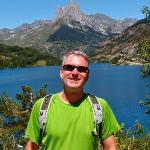 It was very cheap (US$15 for 90minutes) and the feedback was extremely positive. We took the Hobbie out sailing two of the days and some of the group took the paddle boards out, both are free of charge (as are kayaking and snorkelling) and the staff are fun, helpful and friendly. For sunsets – if you want to leave the villa, either get over to the Lobby Bar of the hotel or, my personal favorite, are the seats around the fire-pit down beside the beach bar. The pool also has a swim-up-bar if you can’t be bothered to get out for a sun-downer… Overall, an incredible stay in a paradise setting. 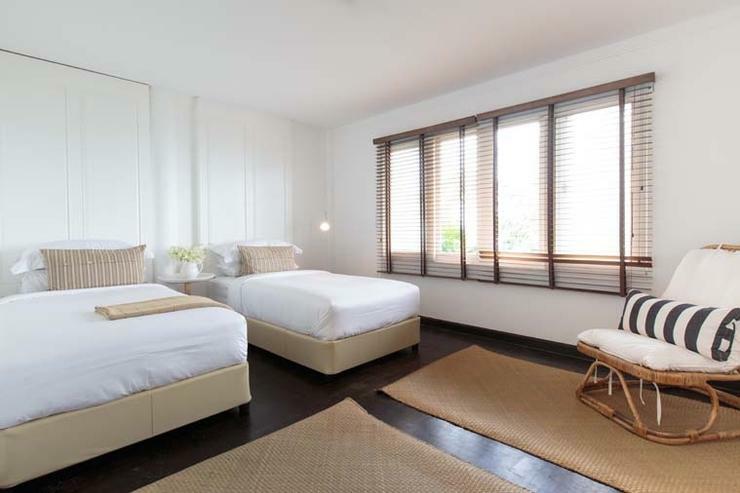 We had the pleasure of staying in Baan Hansa for five nights with my husband and an extended group of friends. Not only is the location perfect with breathtaking views of the ocean and sunsets that never get old. but you get all this plus comfortable stylish surroundings, an incredibly warm and gracious full time staff, and food so good you can't stop eating. 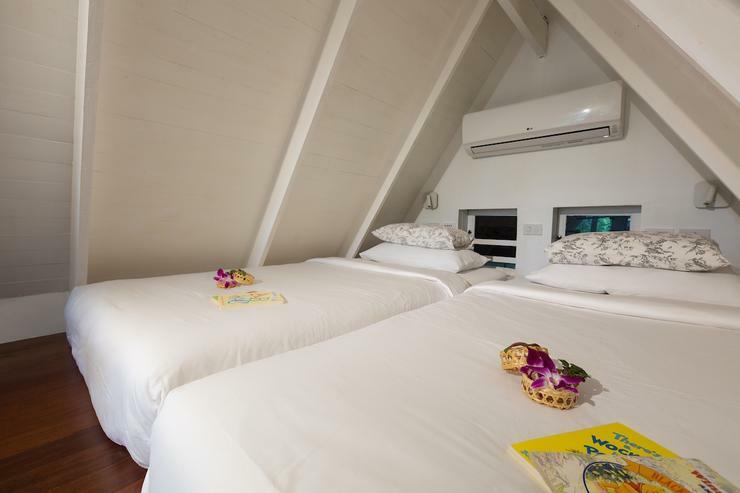 If you're looking for a multi room rental on Koh Samui, look no further. 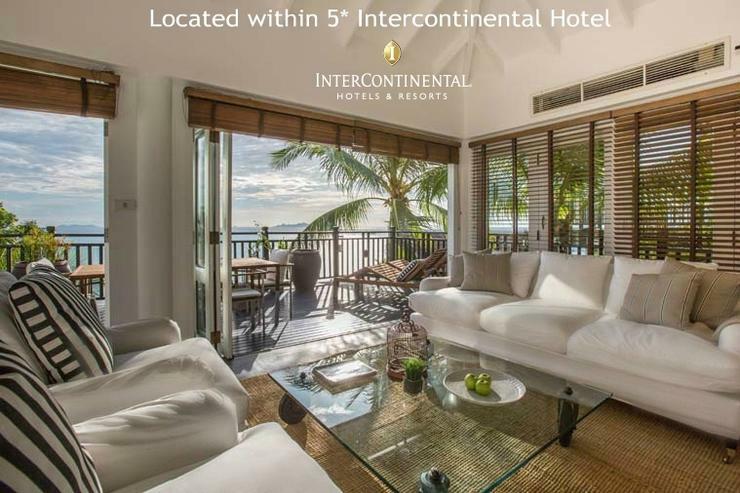 This gem of a property has the most amazing and attentive staff, insanely great private chef, and is on the 5-star Intercontinental Hotel premises so you have access to four pools, spa, gym, etc. My wife and I travel a lot, and we've rarely fallen so in love with a property (and in this case, the price is a real value in a world of too many over-priced rentals). A few friends together with our families stayed at Baan Hansa recently and we couldn't be happier. The villa has everything one could possibly need, and as it is within the Intercontinental Resort Taling Ngam, one can enjoy the use of all hotel facilities as well. The pool by the beach is right next to the kids club which is a joy for the parents. The chef at the villa spoiled us with the most delicious Thai food during our stay, so much so that when we actually ventured out of the hotel for meals, we were disappointed and couldn't wait to get back to the villa to our evening feast. I will definitely be visiting again! We travel a lot as a family, but I hardly ever write reviews, but this stay really deserves to be mentioned as a 5 star holiday. We spent 4 nights with 2 other families (6 adults and 5 kids). 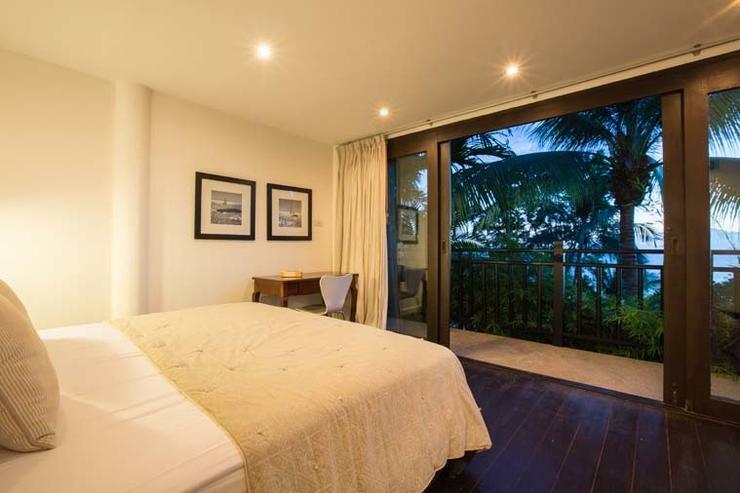 The villa is incredibly well kept and combines the comfort and facilities of a 5 stars hotel (access to the Intercontinental grounds and services) with the privacy and spaciousness of a private residence. Three staff look after the house and they are impeccable. The in house chef cooks the best Thai food I have ever eaten anywhere. 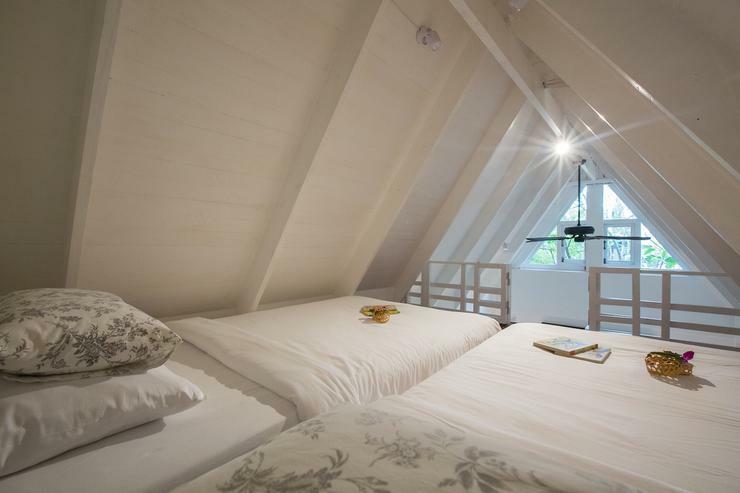 There are 5 very large and spacious bedrooms, all with a en suite bathroom. 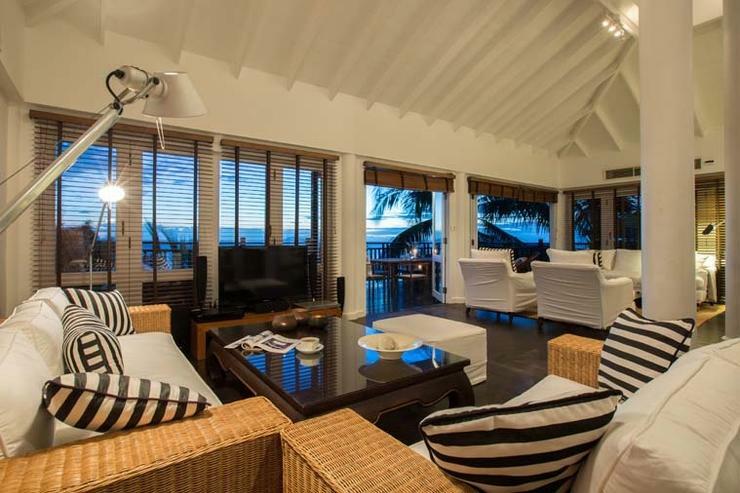 The living rooms is spacious and opens up onto a deck overlooking the sea. Hard to leave this place but we are definitely going back again! Stayed here for a week with family along with two other families. The villas are attached to Intercontinental Hotel. 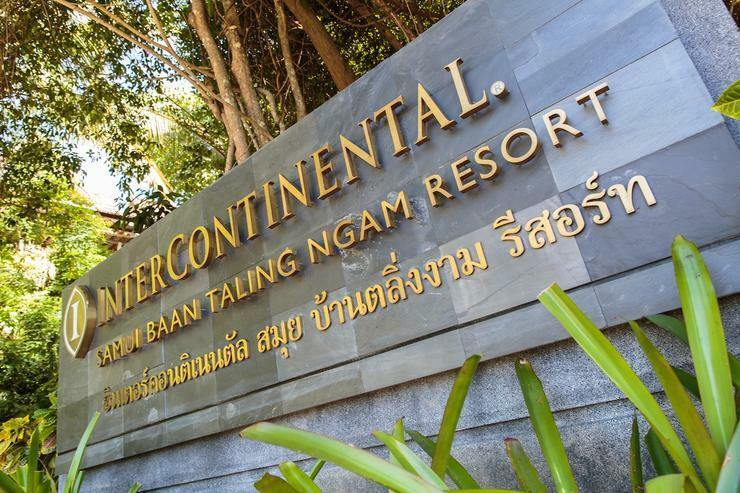 So the check-in happens at Intercontinental, but you are actually staying in Baan Hansa. From the airport it will take approximately 45min to 1 hour to reach the hotel by taxi. If you book the taxi from the airport it will cost you 1500Bhat, but if you arrange for a pick-up from the hotel it is only around 800Bh. The view from the Intercontinental lobby is AMAZING. Its on top of a hill with a beautiful view of the ocean below. We were busy taking pictures, when the check-in process was going on. But its a usual copies of passport and credit card for extras, for we had already paid for our stay in advance. Once the check-in is done, you will be take by a buggy / golf cart to your villa. The villa we stayed had 5 bedrooms in 3 floors. 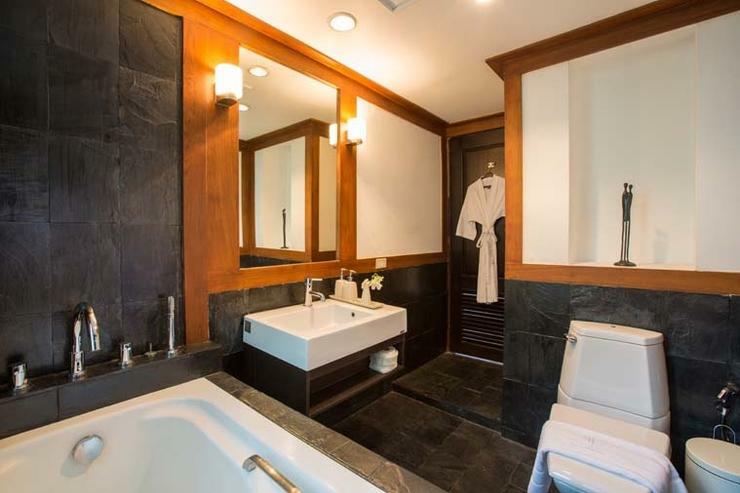 Each bedroom has its own attached bathroom. There is one bedroom in the ground floor where there is the living room and the kitchen. The basement 1 has two bedrooms and TV place. The basement 2 has just two bedrooms. 4 bedrooms in basement 1 and 2 have ocean view. The best view is from Basement 1. In Basement 1 there is a TV, along with bunch of board games and several books. The living room is spacious with attached kitchen and a dining area. The dining table can hold 12 people at a time. There are comfortable couches. Each villa has a huge balcony overlooking the ocean, which provides the best place to see the beautiful sunsets of this Island. Even though the beach looks very close, the resort is actually on a hill. So you will need to call the buggies to take you to the beach below. The buggy operators are so good. Always cheerful and immediately available when you call. In each villa, there is a team of three at your service. One cook and two helpers / cleaners. They cooked some of the best Thai food that I have ever had. They were absolutely flexible to our needs and timings. For example, you can wake-up whenever you want and the breakfast will still be served hot. They are available till atleast 8pm every day. The last day, we had to leave at 7am, but still they came earlier so that we could have a good complete breakfast at 6:30am. This team was so amazing and they made our holiday even more relaxing. You just need to tell them what you need for the next meal and it will be ready. Few comments for the managements consideration would be telephones in each bedroom. As of now, there are no telephones in any bedroom. So coordinating a time to leave for a particular activity, could be an activity of its own. The flooring in basement 1 and 2 are wooden. Even though the place is well maintained, since the place is old the flooring has become creaky and making sounds. Finally, one of the bedroom has a bath tub, but the bath tub is so high that getting in and out is a hassle and risky. 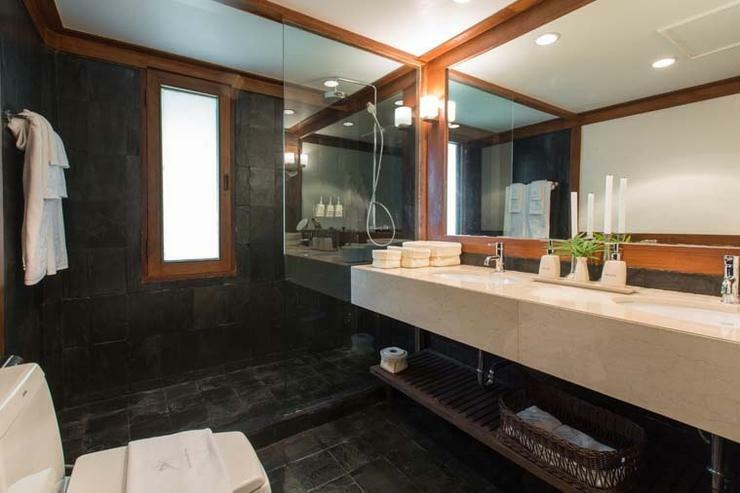 A stool for this particular bathroom could be helpful for guests. 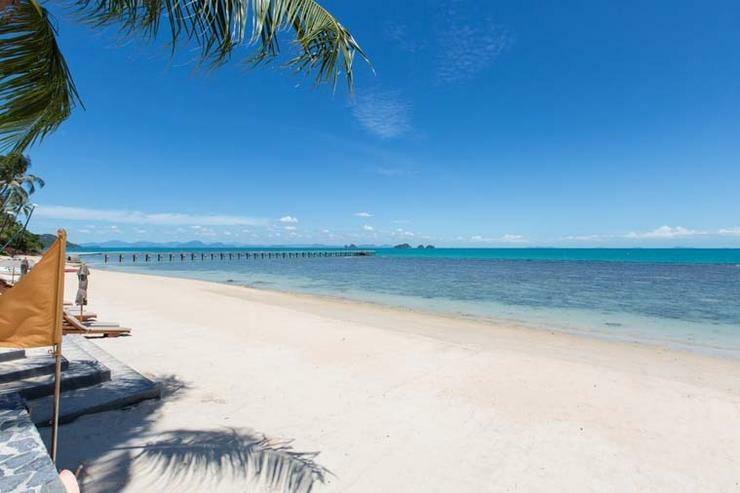 This is a property that I would highly recommend for every one who is considering a holiday to Koh Samui. 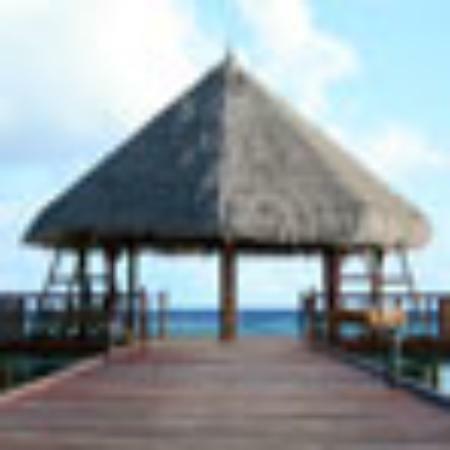 The location and the staff will make your holiday memorable. 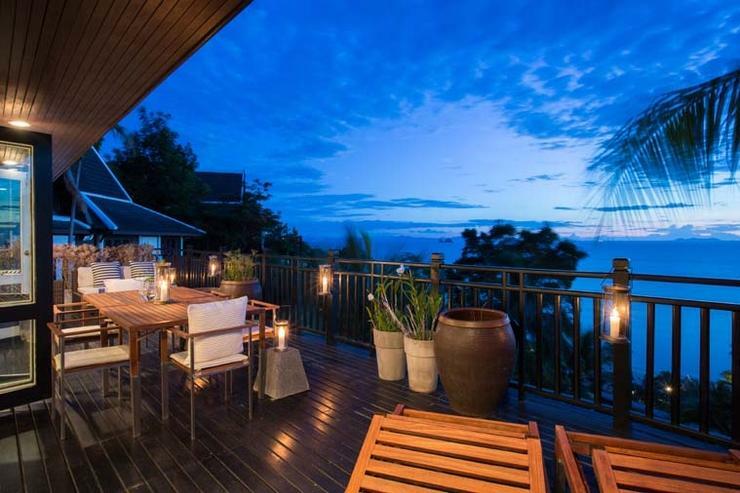 Baan Hansa is located at the 5 star Intercontinental Hotel in Baan Taling Ngam on the south west coast this custom-designed 5 bedroom luxury villa has stunning panoramic ocean views over the Five Islands and it's breathtaking sunsets. * Bed linen is changed every third day, while pool towels are changed as necessary. If it becomes necessary to cancel all or any part of the booking, Web Perspective must be notified in writing (email acceptable). The cancellation will take effect from the day the written confirmation is received. The cancellation charges will be applicable depending on when the notification of the cancellation is received in writing and the period of stay in the villa. All payments are forfeited but credited for 9 month from the date of the cancellation confirmation by Web Perspective. The credit value can be used by the client or anyone on their behalf for any reservation, during any period upon availability and solely for the villa initially reserved. For any cancellation after the deposit and/or balance payment, all payments are forfeited and a full or partial refund is solely applicable in the event that Web Perspective secures another reservation covering partially or fully the initial and cancelled reservation. The above cancellation charges also apply if Web Perspective cancels the booking due to non-payment of the balance. If the dates of the booking require to be changed or amended, this may be treated as a cancellation of the original booking and cancellation charges may apply. Any change to the original reservation is subject to the approval of Web Perspective. Early departure penalty will be subject to negotiation with our local Representative's Manager. To confirm a booking we require a 30% deposit and the balance is due at least 45 days prior to arrival or 60 days for Xmas/NY and CNY. Payment can be made either by bank transfer or on-line by credit card (surcharge applies). 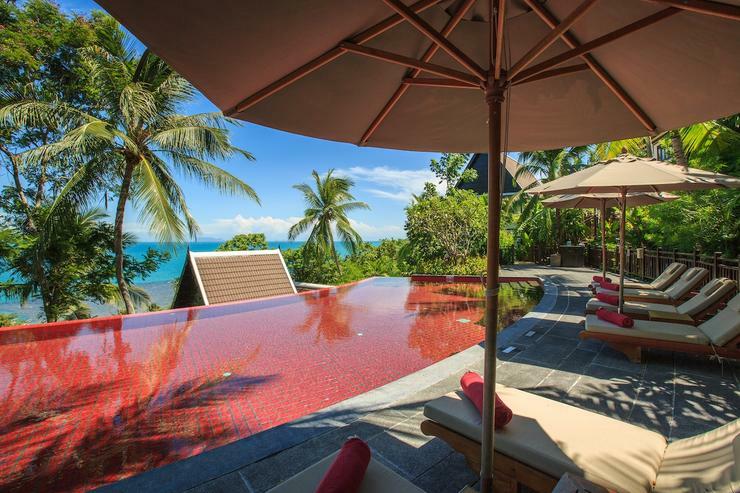 Experience blissful seclusion with access to world-class amenities at this 5-bedroom Koh Samui villa. 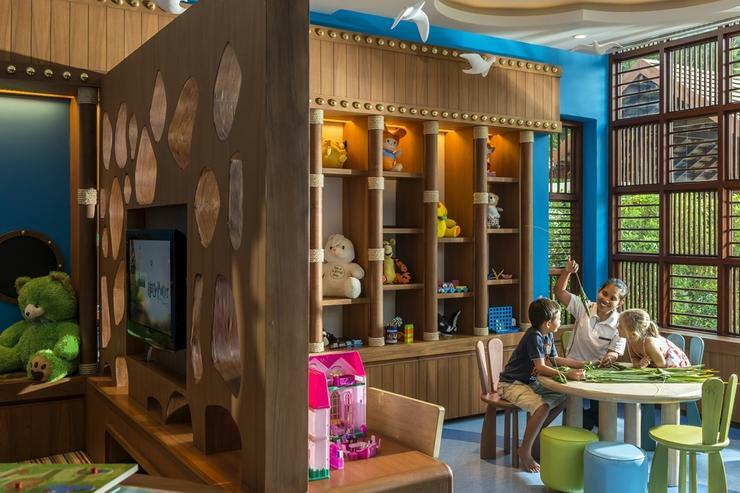 Nestled within the grounds of the 5-star Intercontinental Hotel, you'll have access to incredible amenities, including pools, restaurants, beach activities, and hotel buggy service to the beach and kids' club. An in-house chef adds to the luxury. Enjoy jaw-dropping sunsets and views over the Five Islands - as described in the New York Times "1,000 Things to See Before You Die". 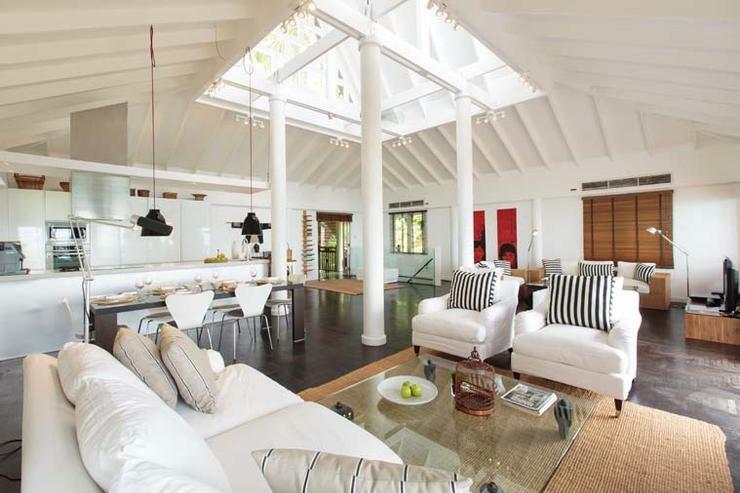 Tucked away amid tropical gardens full of fragrant frangipani trees, this 5-bedroom villa feels like its own hidden retreat. After checking in at the hotel lobby, the resort buggy will deliver you to your front door. 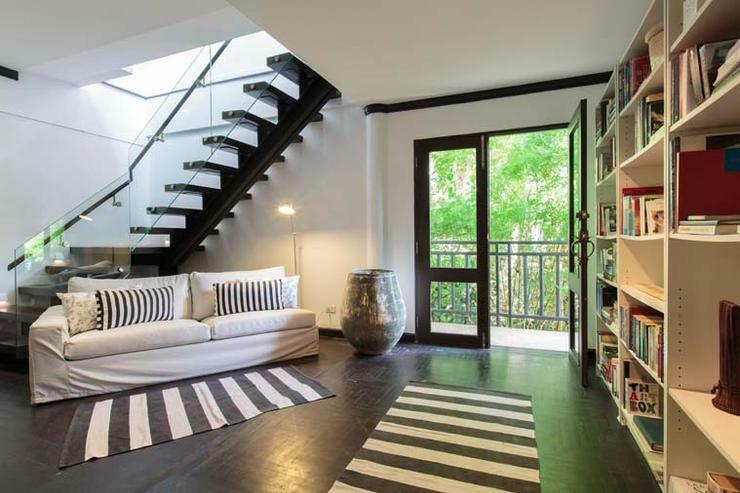 Kick up your feet and enjoy the sun as you're whisked to this private sanctuary. 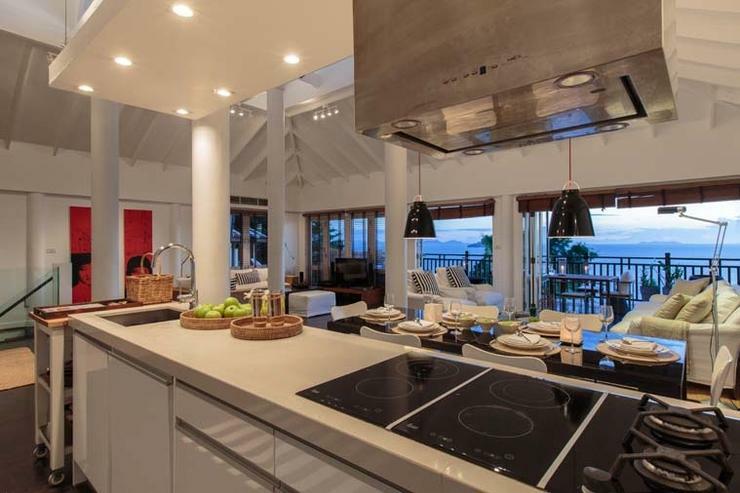 The entrance to the villa opens into an airy, open living, dining and kitchen area. 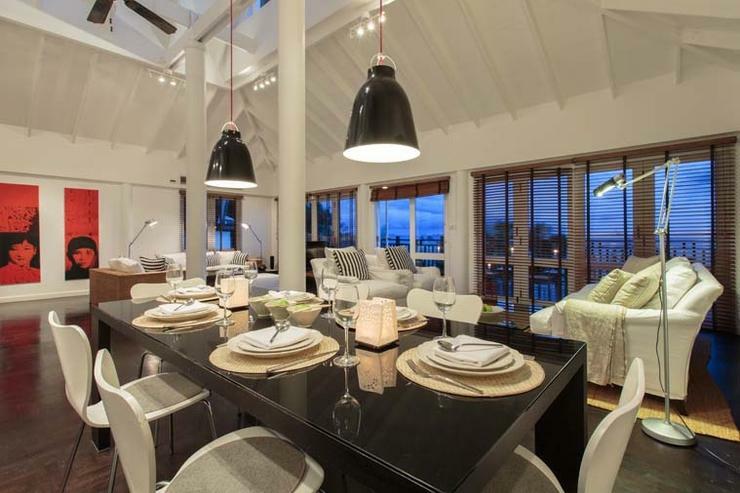 Here, cloud white walls soar to meet a vaulted ceiling and spectacular skylight. Slip off your shoes and feel the cool of hardwood floors beneath your feet. The beachy vibe here instantly invites a laid-back, holiday mood. Two separate lounges each feature inviting cushioned furnishings. Nibble snacks and sip chilled drinks in front of the flat screen TV. Or grab a novel from the book-filled shelf. A chic, all-white kitchen offers all the essentials for easy meal prep. In the mornings, fire up the cappuccino machine, then dig into breakfast pancakes around the six-person dining table. 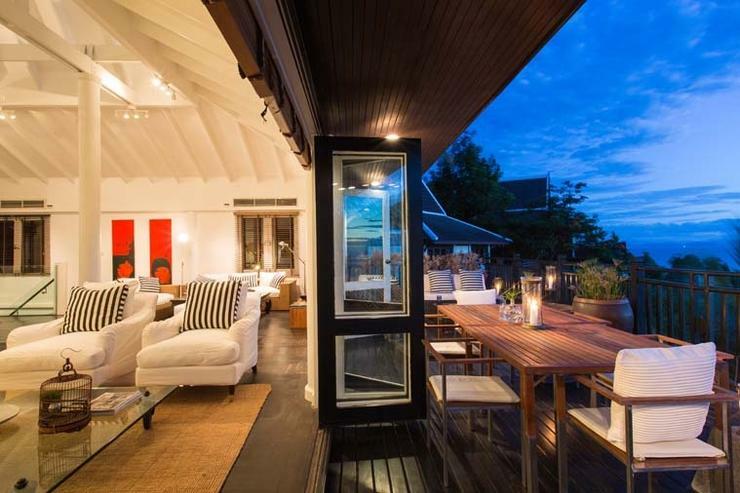 Chances are you'll want to spend most of your time on the villa's tropical deck. 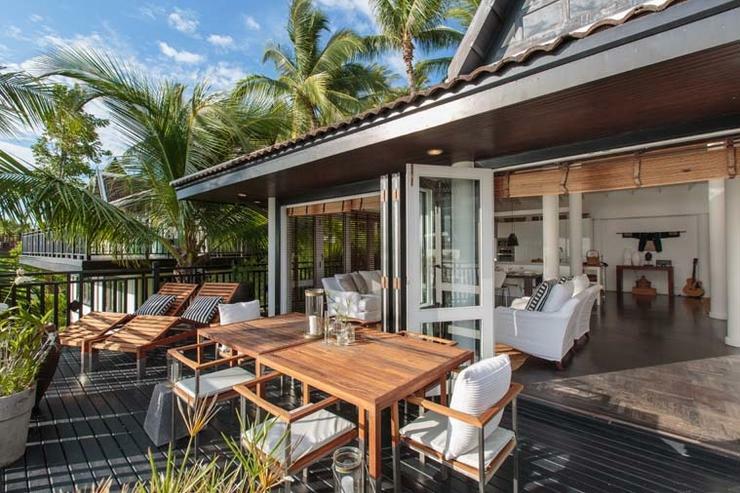 Swaying palms and ocean views sit before a plush seating area, and a teak dining table seats six. It's the ultimate backdrop for al fresco dining - expertly cooked by your private chef. While the kids play indoors, uncork a bottle of wine in time for Instagram-worthy sunsets over the Five Islands - an absolute highlight of a stay here. 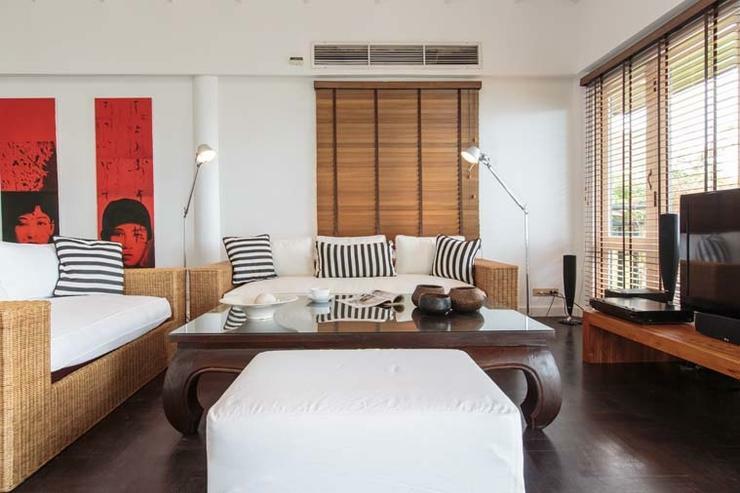 The mood is mellow in each of the villa's five bedrooms. A floor beneath the main living area has two bedrooms with dreamy coastal views. One of the bedrooms has a sumptuous king bed, a Juliet balcony, and a flat screen TV with DVD and satellite. The second bedroom on this level has two comfy twin beds. 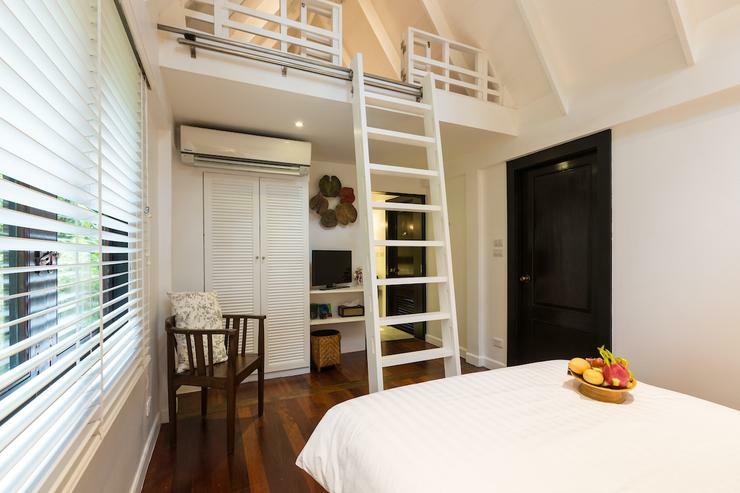 The floor below has another two bedrooms (one with a king bed and another with a twin), and more fabulous ocean views. 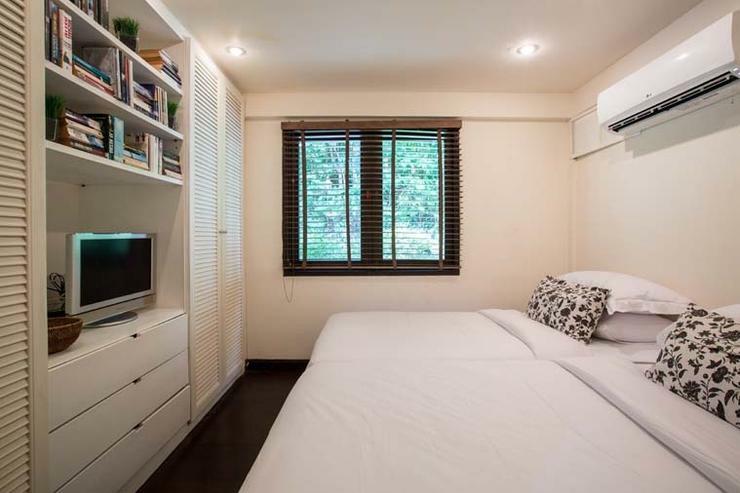 The bedrooms are linked by an interconnecting door, so the adults can check on the kids during their holiday slumber parties. On the main floor, open your eyes to hillside views in a fifth bedroom with a king bed, and a flat screen TV with DVD and satellite. 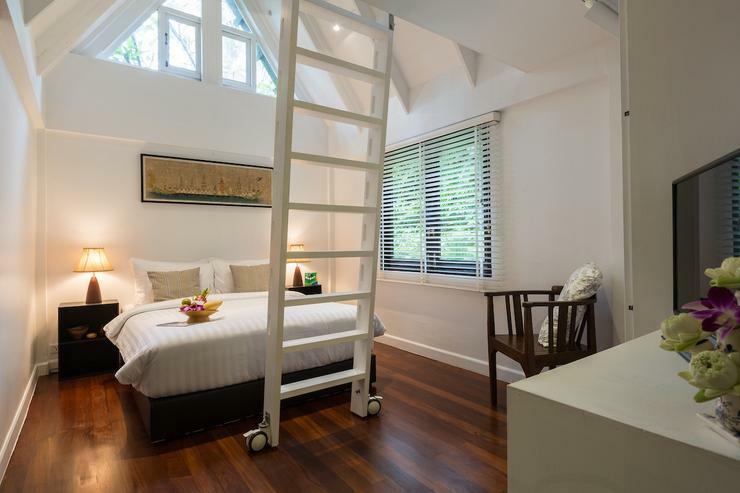 From here, a wooden ladder leads up to a mezzanine sleeping area (suitable for children aged 6 and above). Little ones will love having this cozy retreat to themselves, with two single mattresses to camp out in. 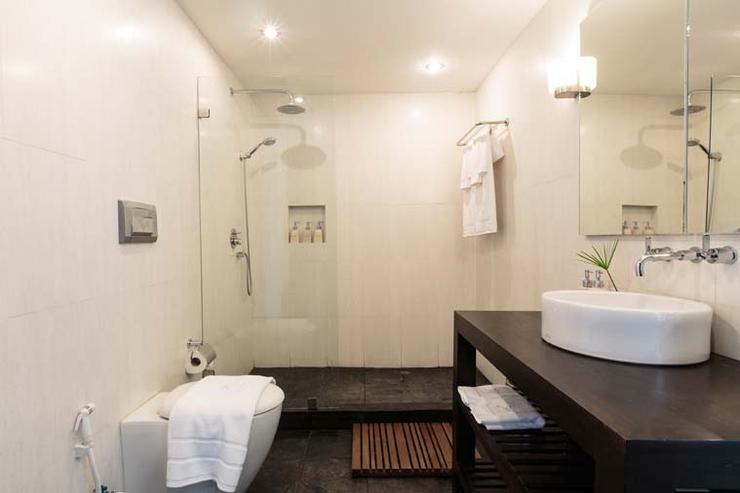 Each of the main bedrooms also come with their own en-suite bathroom. Your villa is located within the 22-acre grounds of the beachfront Intercontinental Hotel. Stroll along a palm tree-dotted strip of white sand, fringed by warm azure seas. Enjoy lounging beside the waves, or book swimming and snorkeling trips to spot exotic marine life around the nearby Five Islands. You'll also have access to fabulous resort amenities at the Intercontinental Hotel, including the world-class Thai SPA retreat, an ocean-view health and fitness centre, seven swimming pools, a kids' club, and a host of beach activities. 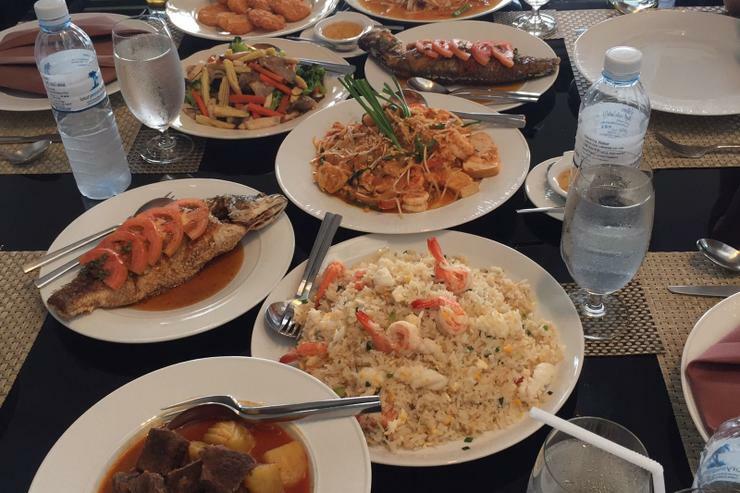 An array of dining options are also steps from your door, encompassing international and Thai cuisine. So no chance of ever going hungry! 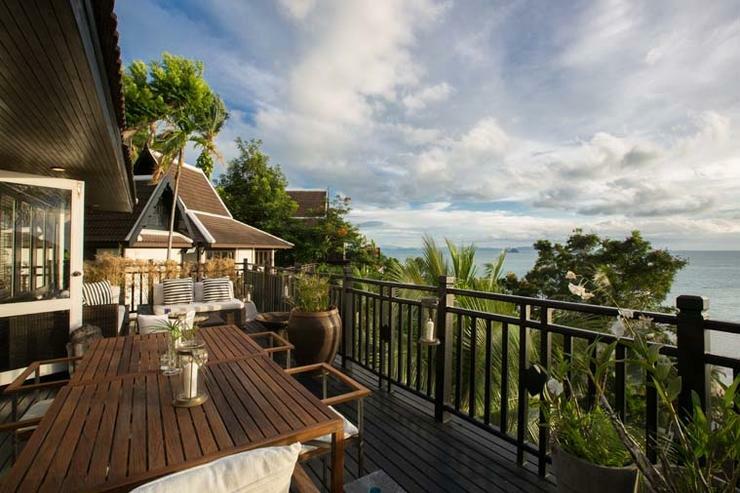 Located in Ban Taling Ngam, Koh Samui. The Headland Villa 5 is a in Thailand. 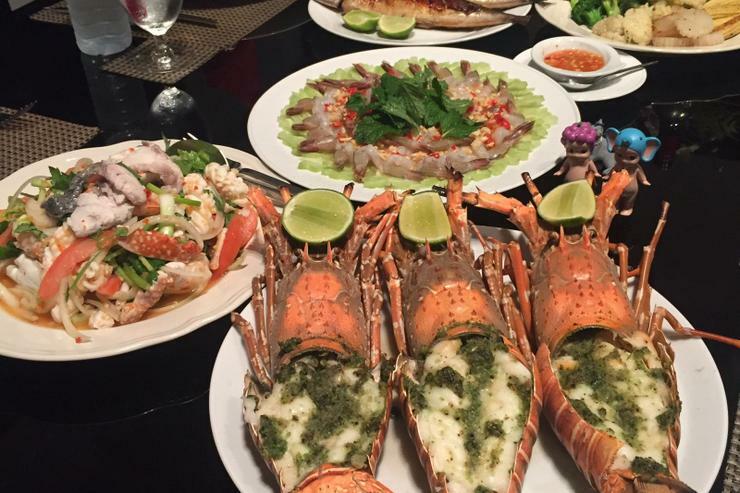 Located in Ban Taling Ngam, Koh Samui. Baan Asan is a in Thailand. 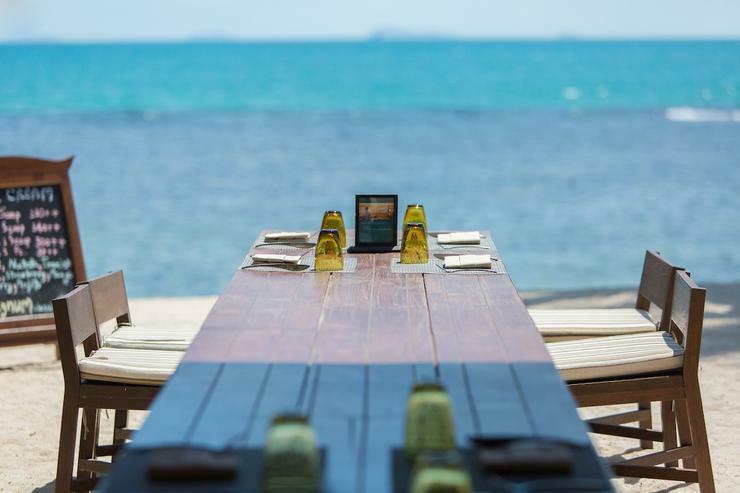 Located in Ban Taling Ngam, Koh Samui. 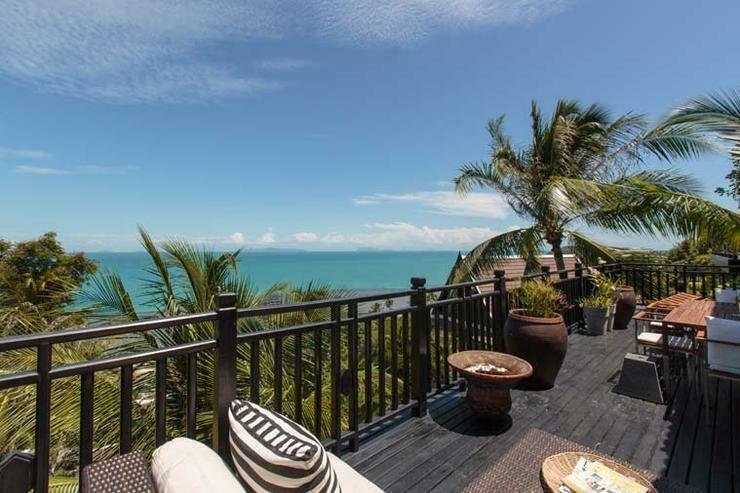 The Headland Villa 3 is a in Thailand.